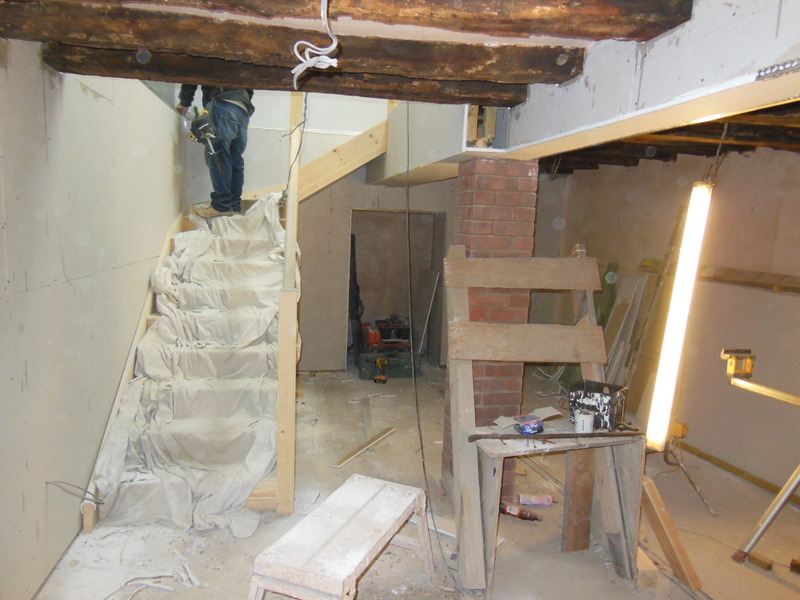 Hydes new basement showroom is progressing well, both staircases are now fitted. There is plenty of character like fireplaces, oak beams, and original exposed brick walls from when the building was first built in the 1700’s. All of which will soon compliment our bespoke furniture and interiors. Hydes new extended showroom nearly there ! !